JRO has served as Hillsboro 2020 Vision Advisor since 1999. The first of JRO’s community visioning projects, Hillsboro 2020 was named Project of the Year by the International Association for Public Participation, received a League of Oregon Cities Good Governance award and has offered a laboratory for learning about and perfecting the tools and strategies that make visioning work. Hillsboro 2020 has pioneered effective ways to generate input and establish broad-based community ownership by engaging partner organizations, reporting progress and ensuring the action plan remains relevant through periodic updates. The “Year-Ten” Update utilized Facebook, video, e-surveys, fireside chats, e-polling and other tools to engage thousands of residents including a growing multi cultural population. 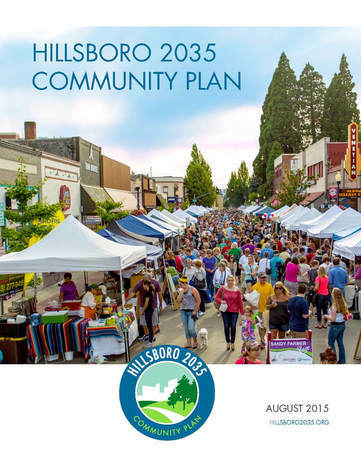 JRO now serves as advisor to the Hillsboro 2035 Community Plan, adopted in August 2015. The 2035 Community Plan represents Hillsboro’s next twenty-year road map. Consistent with the original vision, the 2035 Plan was built on input from over 5,000 individuals using a variety of engagement approaches. Facilitated teams, representing a range of community interests were formed to review and convert community ideas into action proposals which were then adopted by two dozen distinct community organizations. Early outreach was informed by key stakeholder interviews and a data profile identifying current trends and opportunities. JRO has served as Advisor to Beaverton Community Vision since 2008. With guidance from a citizen-led Visioning Advisory Committee, the original visioning effort directly engaged more than 5,000 citizens over two years of creative outreach. Input was received in six languages, through community events and forums, surveys, idea boxes, website, video and other vehicles. Five action teams, built around the five Vision goal areas, were assembled to process and convert community suggestions into actionable proposals which were then prioritized through a public review process. The result: a highly-supported action plan for improving livability and sustainability, downtown, housing and neighborhoods, transportation and more. Today, all City Departments budgets are required to address how upcoming work will contribute toward advancing community vision priorities. Beaverton Community Vision was named Project of the Year by the International Association for Public Participation (IAP2), Cascades Chapter, and later received an Award of Excellence from the City-County Communications Managers' Association. 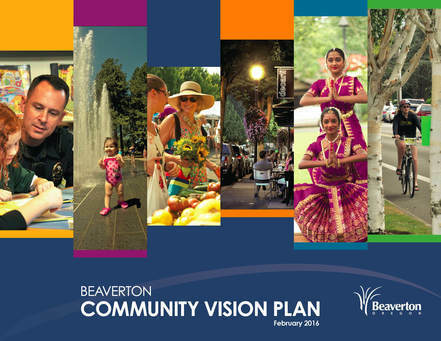 JRO also served as the lead advisor for the Beaverton Community Vision five-year update: "What's Next Beaverton?" Over 7,700 ideas were received through an extensive community outreach process. The updated vision was adopted in February 2016.